Sales enablement is a proven system for increasing revenue and productivity by creating integrated content, training and coaching for the sales function. Written from a marketer's perspective, Effective Sales Enablement goes beyond sales training and development. 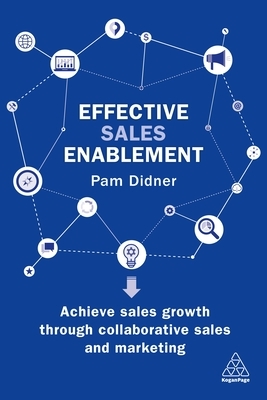 Pam Didner presents fresh thinking and creative approaches to improve sales enablement strategies, processes and programmes. Using case studies and examples from well-known brands such as Cisco, Oracle and Google, she provides a blueprint for any organization wanting to create a sales enablement function which will, in turn, accelerate revenue growth. Pam Didner is a content marketing leader, author and speaker. She was Global Integrated Marketing Strategist at Intel where she led their product launches and worldwide marketing campaigns. Her boutique consulting firm advises companies including Intel, 3m, Sunstar, Insitu and Cisco.